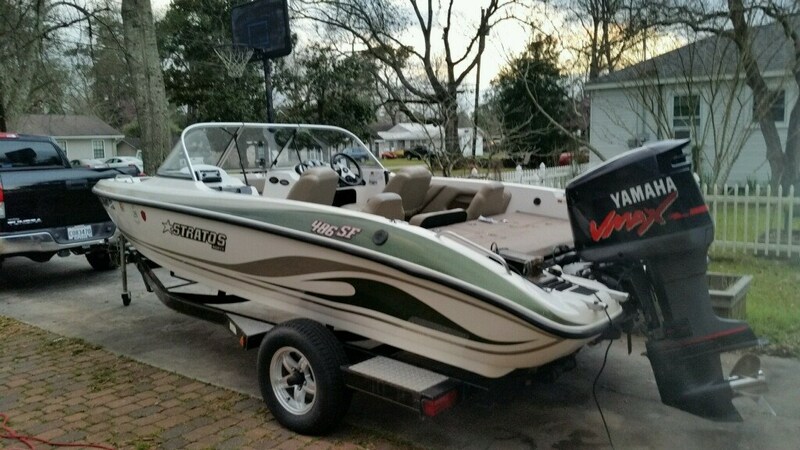 2005 Stratos 486 Ski-N-Fish Powered by a Yamaah 150hp Outboard. 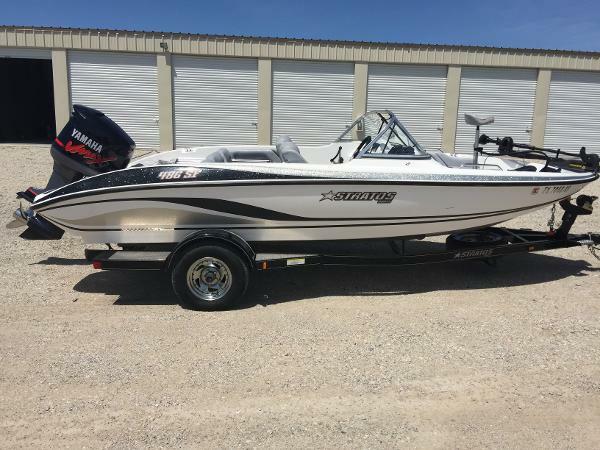 Includes trailer.While the Stratos 486 Ski-N-Fish is quite capable of performing as a tournament quality fishing boat, add the ski package and it doubles as a performance ski boat. However, most importantly, the 486 SF was designed with your family in mind. As with all Stratos boats, the 486 SF is NMMA certified. This means that the only worry you will have is whether to ski or go fishing. 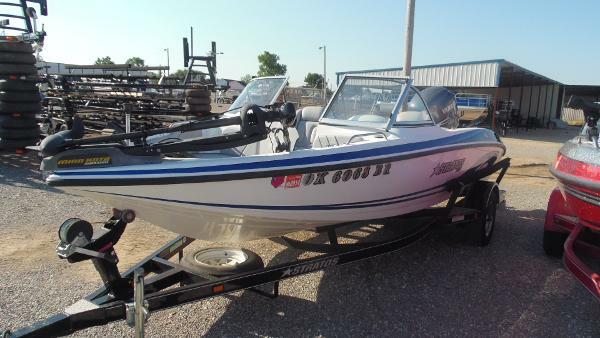 With standard features such as a roomy ski locker, Minn Kota trolling motor, hydraulic steering, AM/FM/CD stereo system, aerated livewells and a custom boarding ladder, you'll be ready to do either. 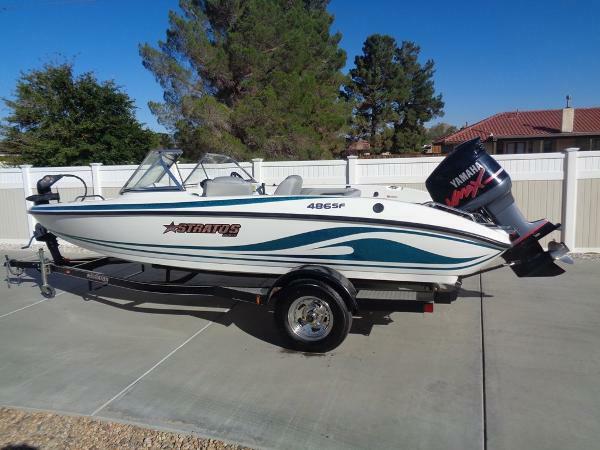 2005 Stratos 486 Ski-N-Fish JUSTA RRIVED: THIS BOAT IS EQUIPPED WITH A 24-VOLT TROLLING MOTOR, FISHNGI LOCATER UP FRONT A BACK. While the Stratos 486 Ski-N-Fish is quite capable of performing as a tournament quality fishing boat, add the ski package and it doubles as a performance ski boat. However, most importantly, the 486 SF was designed with your family in mind. As with all Stratos boats, the 486 SF is NMMA certified. This means that the only worry you will have is whether to ski or go fishing. With standard features such as a roomy ski locker, Minn Kota trolling motor, hydraulic steering, AM/FM/CD stereo system, aerated livewells and a custom boarding ladder, you'll be ready to do either.